Never fear, WDS is here. 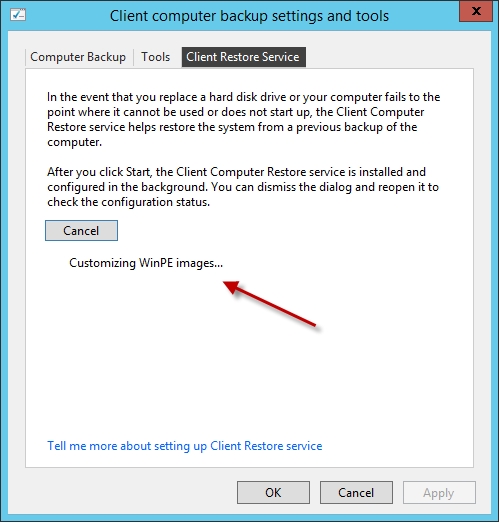 As part of improvements in the Client Backup/Restore service Essentials R2 now leverages WDS to form part of the restore process, allowing a client to PXE boot to the restore environment rather than relying on a USB key, or messing around with drivers. You also may be forgiven for thinking this will be all automatically setup for you. Well, it isn’t. In fact you can’t even create the USB key on the server until you have finished this part of the setup, which has gotten Susan Bradley quite riled up. 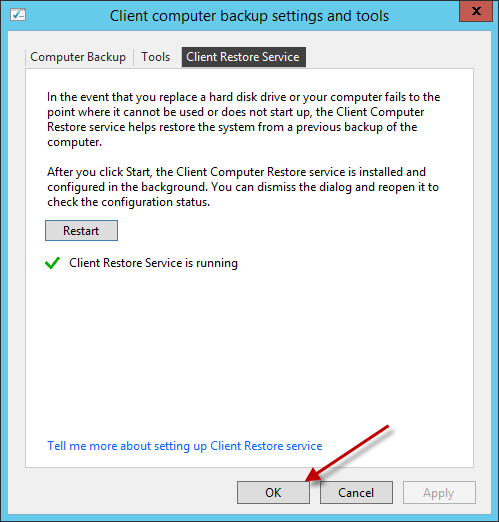 Perhaps confusingly a client can successfully backup regardless of whether or not these additional steps have been completed, and if you have a key ready made from another Essentials R2 server, then you can also still restore PCs. So to enable your Essentials R2 Server to create a USB Key (and enable PXE restore) We need to go into the Dashboard, and the Devices tab. 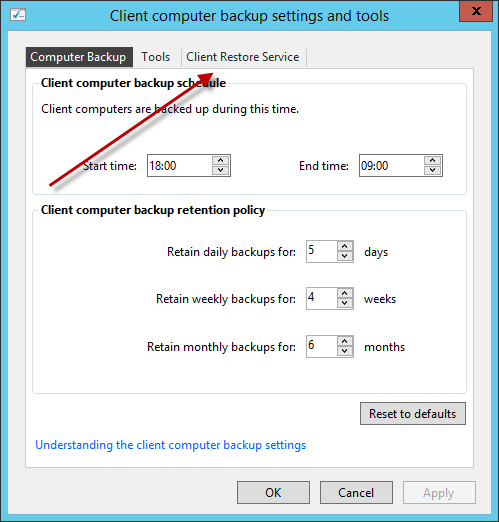 Click on Client Computer Backup Tasks, and the Client Restore Service tab. You will see a button that says ‘start’. If you click this you will get an error! 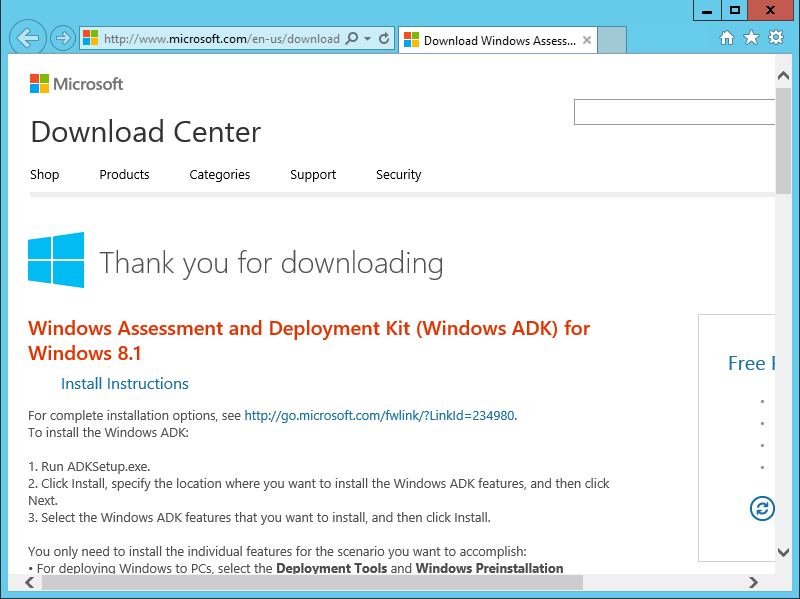 Cannot find the Windows Preinstallation Environment image. You are then invited to download WAIK. My advice is download this from a client PC and copy the setup files to the server, because i went round and round and round and round battling with IE and IEESC. Eventually i gave up and turned ESC off, but it still didn’t work. 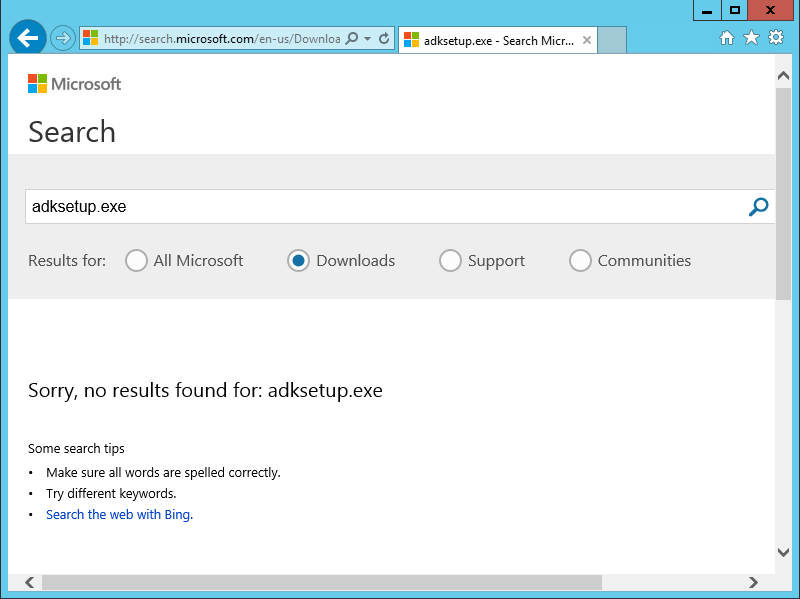 Randomly i closed IE and reopened it and then it did work. But that is half an hour of my life I’m not getting back. So once you have downloaded the files, you will need to install. You can accept all of the defaults and you don’t need to change any of the settings at all to install the right components for Essentials. Once you are all setup, return to the dashboard and click ‘Start’ again. This time Essentials will say ‘Customizing WinPE Images..’ and you can sit back and relax for an indeterminate amount of time. You are now able to PXE boot a client to the restore service and you need not worry about USB keys anymore. 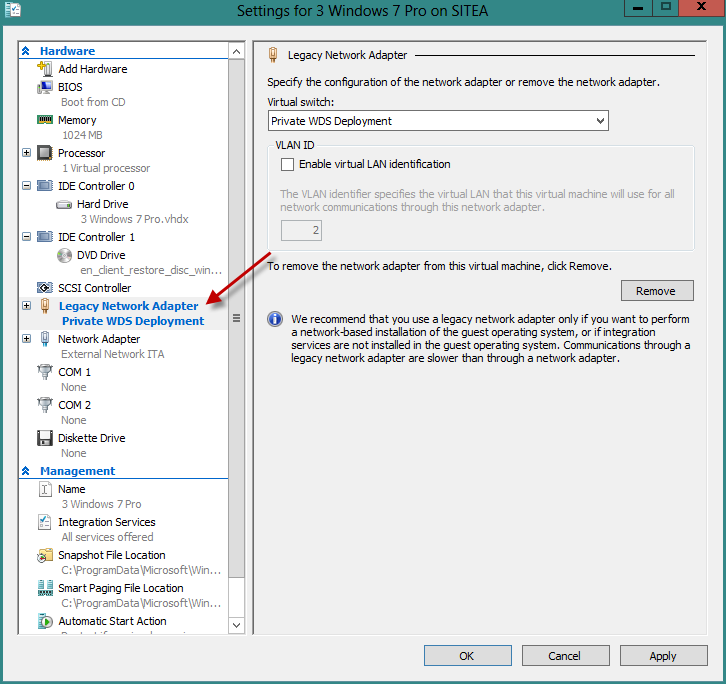 If you are in Hyper-V you will need to add a legacy NIC to your VM to restore it, and also make sure the first boot device is your Legacy NIC. 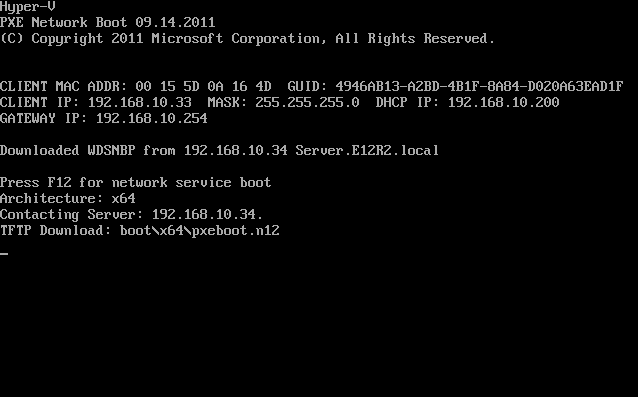 Don’t forget to hit F12 or you will not PXE boot! The client will now boot up the same way as if it had the normal USB Key attached. 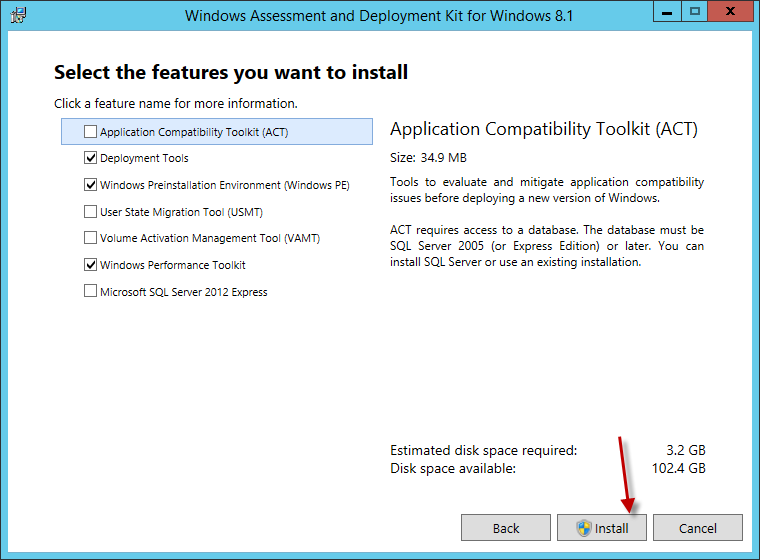 There are other ways to make the USB key rather than using the dashboard tool, but on R2 you still do need to have completed the WinPE Download. There will be a subfolder, with a name similar to 0409. 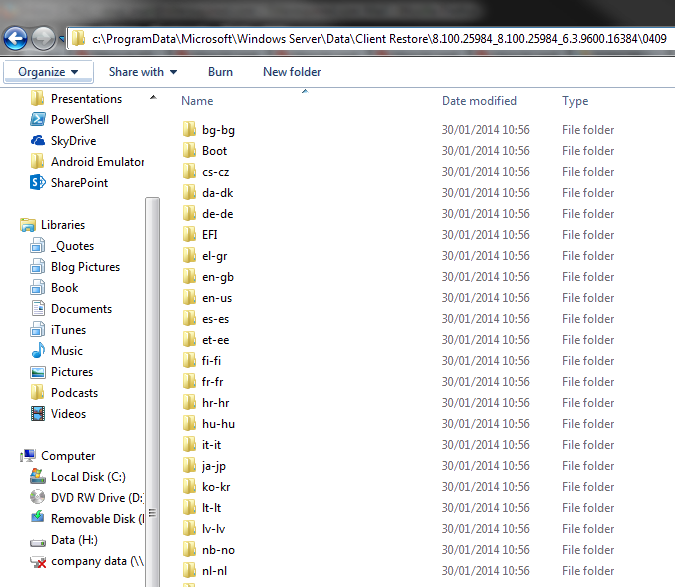 Inside this folder is the contents of a USB key. You can simply copy this data out onto a bootable USB key. I also created an ISO by using MagicISO, i loaded an existing 2011 Essentials Restore ISO, deleted the contents and replaced with the contents from the above directory and saved it. 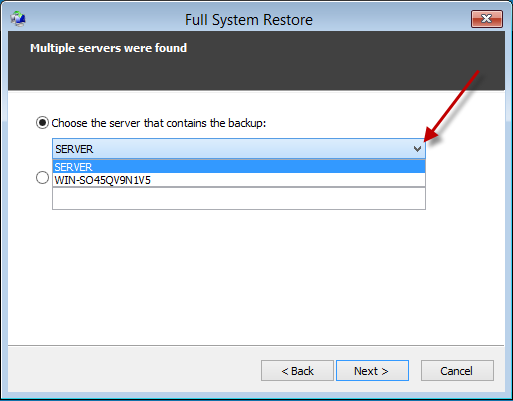 If you have multiple Essentials Servers on your network, the restore wizard will find them and you will have the choice of choosing which one to connect to. So you don’t need to worry about having a unique key made from each server. If you are running on a Standard Server, using the Essentials Experience Role the above topics also apply! where I spoke (briefly) about how wonderful it is to do network boots, without having to search for USB recovery media. Thank you! 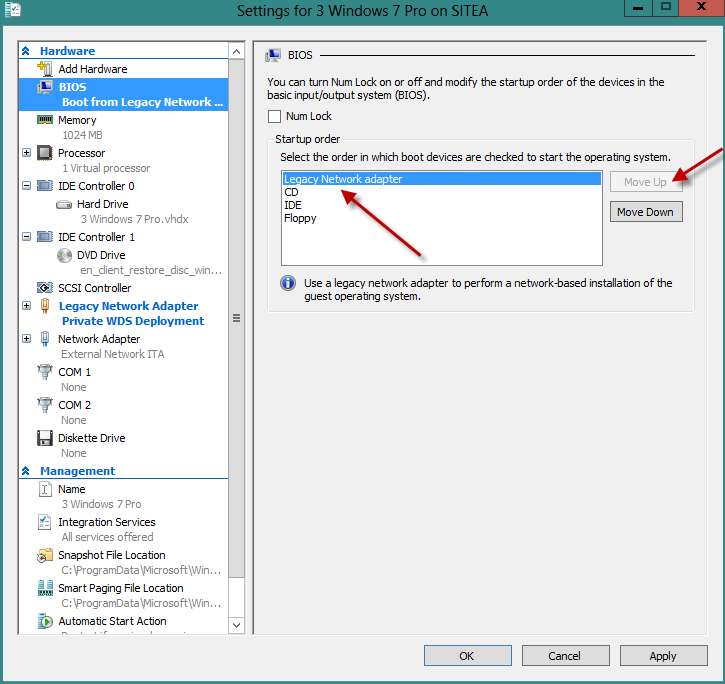 How can i create the USB Start Stick if the win 2012 R2 Essential run in virtuell environment(Hyper-v)? Is there a way to do this without a legacy adapter? When I installed my WSE R2 I didn’t know about this and I went with a Gen2 VM (which doesn’t have legacy adapters). I’ve got a hell of lot of work under my belt so far on the thing and I’d hate to have to start over because of this. I don’t know whether I’ll be able to scrap the Gen2 VM and create a new Gen1 VM pointing to the GPT VHDX. Pardon me, I spoke too soon. I didn’t look closely enough at the dialogs’ title bars. You’re PXE booting the -client- in a VM—the machine you’re restoring. Not the server. Is your use of a legacy adapter here (and thus a Gen1 machine) solely because of the PXE boot requirement? If so, it appears we may now use Gen2 (sans legacy). Yes it would have been as I was on a non R2 Host at the time. Update for your other readers, just in case: 2012 R2’s Gen2 VMs can PXE boot without a Legacy Adapter. I’ve just tested this and it went well. I haven’t tested on WSE 2106. BUT… you can’t use Gen2 if you’re restoring an MBR-based backup. Gen2 is strictly GPT/UEFI, and so doesn’t support the older MBR disk initialization. I know this is a relatively old thread, but it’s the closest thing to the issue I’m having. 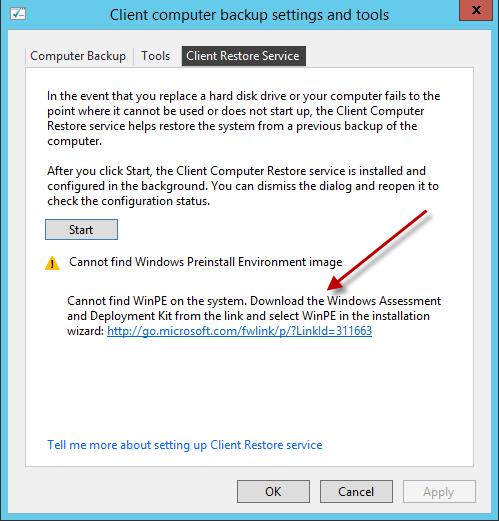 I have a 2012 R2 Server running Hyper-V and a 2012 R2 Essentials Server VM that I have done the WAIK install for and it shows a green check mark on “Client Restore Service is Running.” I want to PXE boot my physical client computers when I need to do a restore. 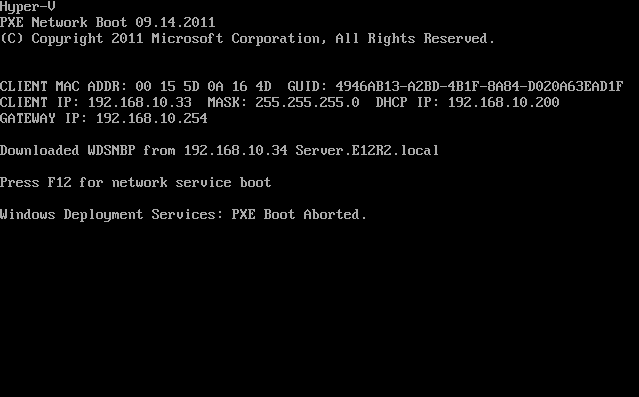 The Essentials server is running DNS, but not DHCP, I have another 2012 R2 BDC running DNS and DHCP. DHCP is running fine on this physical server, as I could not get it working with the Essentials VM. I have no options 60, 66 or 67 selected, as per all the instructions I’ve seen. I get a error that there was no boot file received. This is a test box/home server setup. I have a WDS server that I built at work and it works just fine, I’m not sure what I’m missing, unless the difference is in how the routers work. Firebox at work vs a D-Link consumer router at home. Can’t see that being the case though. I have no VLANs setup on my switch, although I do have all server LACP Lagged, but everybody seems happy, just can’t PXE boot to the Essentials WDS. Any thoughts? Need more info? It’s not the end of the world, but it’s very frustrating. 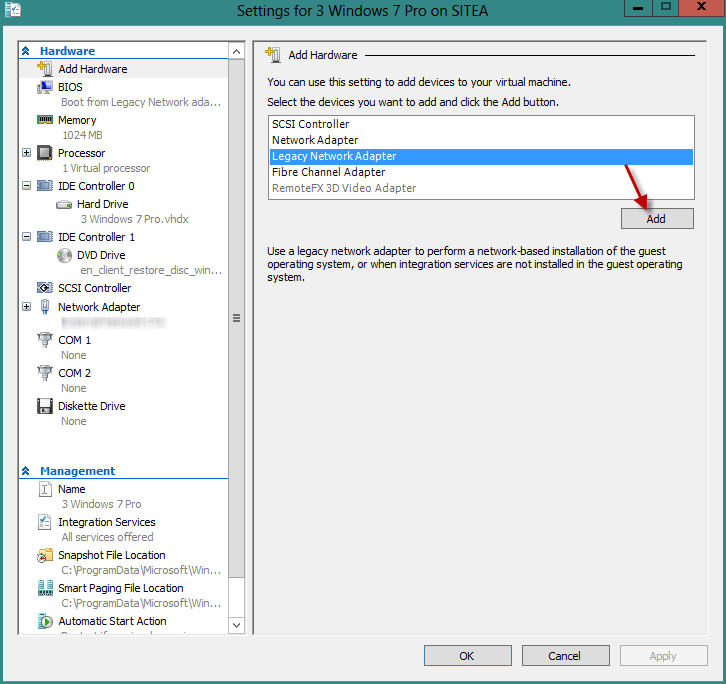 Have you confirmed that the proper ports are open in the Windows Firewall on your Essentials VM? From what I understand your BDC has DHCP running, in which case you should have option 60 configured as a best practice. However there may also be settings within WDS you need to tweak, Did you configure WDS or did the Wizard do it? I couldn’t boot a UEFI VM (Gen2) via PXE until I reinstalled WDS as ‘stand alone’ not AD Integrated. Thanks for posting this great article . . . a perfect fit for my situation more than 2 years later. I used your information to copy the contents of C:ProgramDataMicrosoftWindows ServerDataClientRestore8.100.25984_8.100.25984_6.3.9600.16384 9 to a USB flash drive after making it bootable using diskpart. I needed to do that since my WS2012R2E is in a VM and wouldn’t recognize the USB key plugged into the host except as a network drive, so the Dashboard tool wouldn’t work as you mentioned. One of my client computers, an older laptop which I could never get Win 8 installed on but seems happy with Win 10, mysteriously started showing up as stuck on1% backup in the Essentials Dashboard after months of flawless backups. Coincidentally, another post of yours was first up in Google and recommended uninstalling and reinstalling Windows Server Connector. I did that but still had the problem. A very nice thing about Essentials daily backups is the ease of restoring a computer’s drive to get back into good working order, especially when booting from the network. I’ve done it many times. But this laptop has an internal 100Mbps NIC and a plug-in 1Gbps PC card NIC. The laptop won’t boot from the PC card, and I couldn’t stand the thought of restoring over the 100Mbps connection. Likewise, waiting for a WS restore CD/DVD to boot up is an exercise in patience. The USB key that I made using your article info worked well to start a full restore, and the backups have been completing since then. 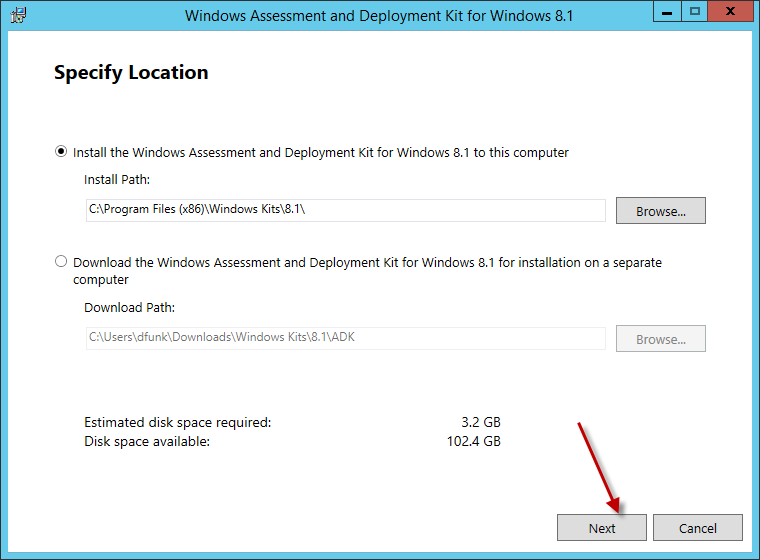 Have you found the files for the bootable USB on a Server 2016 + Essentials Role install? No longer in ProgramData. 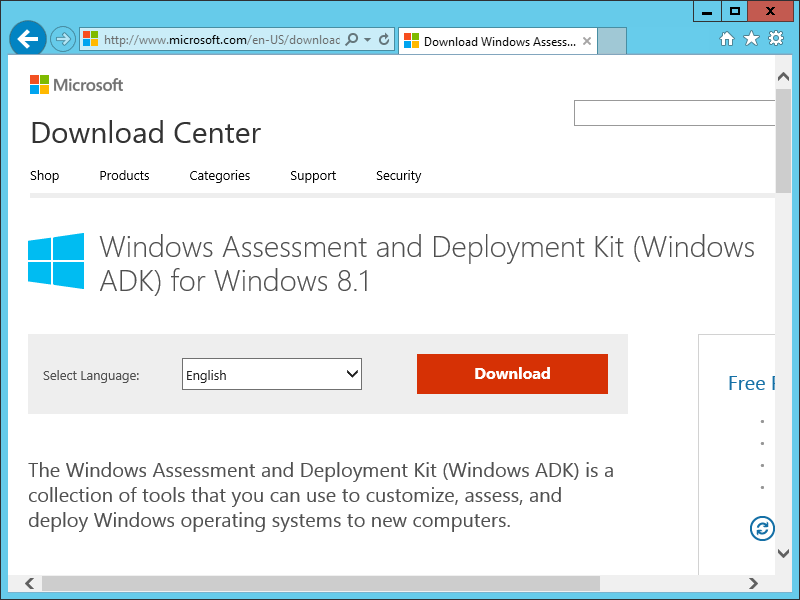 BTW I did solve one issue with 2016 Client Restore setup: you have to fix the ADK: https://www.mcbsys.com/blog/2017/08/fix-bad-drivers-in-windows-10-1703-adk/. Er … never mind … was looking on the wrong server! 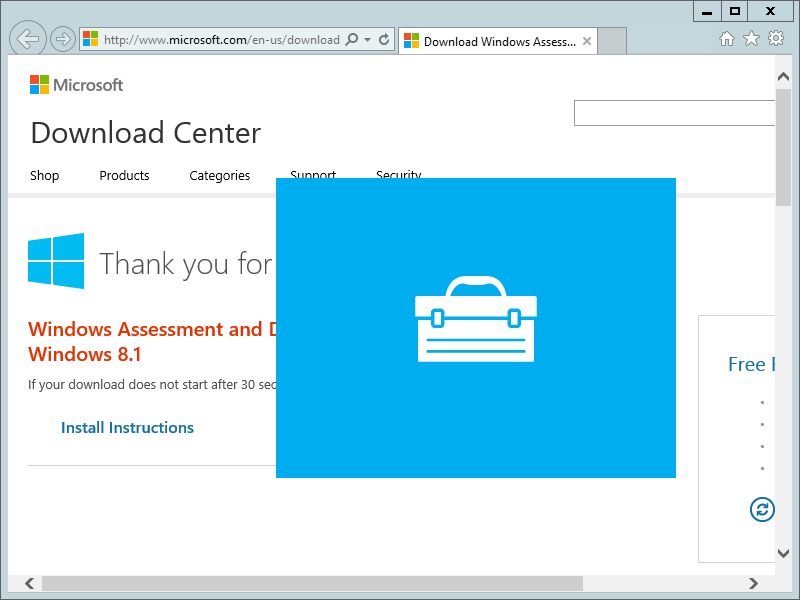 Files are still in C:\ProgramData\Microsoft\Windows Server\Data\ClientRestore\10.1.15063.0_10.1.15063.0_10.0.14393.0\0409.